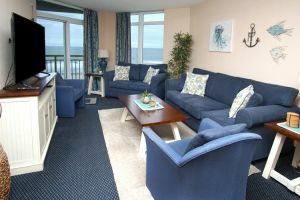 MURRELLS INLET, SC – There are golf courses that you know exactly what to expect from the moment you arrive. Whether you’re visiting The International Club for the 1st time, or the 20th time there’s a wonderful consistency to the experience. From the bag drop and pro shop to the cart attendant and The International Club Grille, you’ll readily see why The International Club was awarded the Four Star rating in the Golf Digest “Best Places to Play.” The staff and service are impeccable and that’s just the beginning. The Joe Bernat Golf Academy, a United States Golf School, with Master Teaching Professional Joe Bernat is located at The International Club. Whether your game needs a tune-up, or you’re just loosening-up before play take advantage of the large, well marked driving range. Definitely, take time to roll some putts on the practice green. That’s a must. 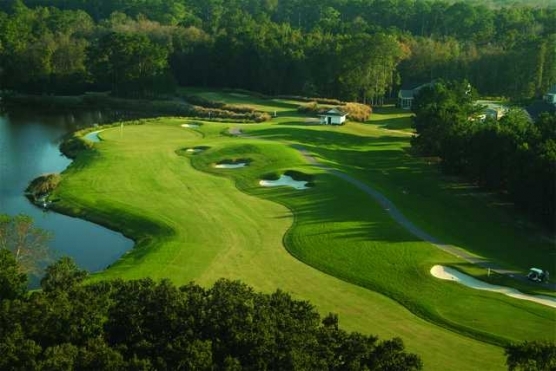 The International Club greens were voted best in Myrtle Beach. The breaks and undulation of each green takes some study. Of course speed is critical and unless you’re knocking it stiff, bring your best lag putting skills. This is a golf course that’s very challenging, if you’re having putting woes. Opened in 2000 this Par 72 Willard Byrd design has 5-sets of tees, insuring a pleasing, but challenging round for every skill level. From the Black Tees the course plays at 6857 yards and is rated/sloped at 73.2/129. The White Tees drop to 6367 yards and 70.6/124. The Yellow Tees play 5912 yards and 68.6/117. Red Tees are 5369 yards and 71.3/124. The Blue Tees are 4838 yards and 67.6/117. Forget tee colors and choose the yardage you’re comfortable playing. One of the more interesting aspects of the course is the stone monument at each hole that shares a little golf history from 18 different countries. The Par 5s are not particularly long, but are certainly three shot holes for the average golfer. No. 9 is a great way to finish the front with either birdie or par quite reachable. A drive to the center-left and a well placed approach shot, again to the center-left takes the hazards out of play. On the back nine No. 13 looks intimidating from the tee box, but if you’re playing the proper tee box it really isn’t a difficult forced carry over the lake. A good drive here gives you a great opportunity for risk/reward to the green on your second shot. Again, playing from the tees that fit your length The International Club gives you some very nice Par 4 opportunities to score. No. 2 is perfect for the shot-maker. It’s imperative to be accurate off the tee, while making sure you have enough club to clear the dogleg right. A 130-150 yard approach shot will await you. Waiting to challenge the long hitter is the Number 1 handicap, No. 15. An inviting fairway is flanked by water on the right and trouble on the left, but that’s only the beginning. Your second shot is to an elevated green protected by sand bunkers. Par on this one is a great score. Each of The International Club Par 3s will provide an opportunity to score. No. 6 is the longest and requires you to carry a pond to a narrow green. Choose your club wisely. No. 11 is one of the easier holes. With sand in the front and water to the sides and back its bark is worse than its bite. The International Club fits my “scrambling type” golf game. I enjoy thinking my way around a golf course and relying on my short game to keep me out of big numbers. Give this one a try. You’ll enjoy your day. I did.